Marco Colo sits in a small room in Small Hall scanning a dozen large monitors for clues about how the universe began. Colo, a Ph.D. physics student, is looking for the clues in a stream of subatomic particles known as neutrinos. Neutrinos are produced by the sun, by nuclear plants and especially by the event that caused the birth of the universe some 14 billion years ago. “I like to take the late-night shifts,” Colo said, explaining that a hoot owl stint yields extra participation credit. So just how did the universe begin? It’s a big question — perhaps the biggest question that’s answerable. It takes a research university to take on such big questions, as well as to pursue other issues of immediate benefit to humankind. Neutrino study probes a big question while creating the scientific base for inventions such as instruments that can use a neutrino signal to detect the presence of nuclear devices. When CERN announced the discovery of the Higgs boson in 2012, the media turned to Marc Sher, one of William & Mary’s Higgs theorists, for context and explanation. It would be going too far to say neutrinos are the new Higgs, but neutrinos now have a bigger share in the spotlight of particle physics. Particle physics is one particular example of William & Mary’s research impact, which extends far beyond physics. Neuroscientists are working to explain the complex mechanisms of the brain and questions of cognition. Data scientists are making computers more efficient and our use of them more secure. Scientists are working to choreograph the unbelievably complex intracellular ballet of proteins in order to identify the missteps that lead to neurodegenerative diseases, cancers and other human maladies. And that’s just some of the scientists. Dennis Manos says the presence of Ph.D. programs makes William & Mary a true university. Manos, the university’s vice provost for research, cited a William & Mary alumnus who went on to serve as the dean of Harvard’s Faculty of Arts and Sciences, Henry Rosovsky ’49, author of The University: An Owner’s Manual. William & Mary took the first steps toward becoming something more than a “college” in 1779 with the founding of the Law School. In 1964, Ph.D. programs were introduced in marine science and physics. William & Mary now offers the Ph.D. in disciplines in Arts & Sciences, the School of Education and the School of Marine Science. Dean of Graduate Studies Virginia Torczon oversees the Ph.D. programs in Arts & Sciences. She explains that that a set of Ph.D. programs will almost always cause an institution to evolve into a research university. Research, she says, is what Ph.D. students mostly do. “We do require Ph.D. students to take courses. The bulk of the expectation, though, is that they produce original research that contributes to the knowledge of the field,” she said. 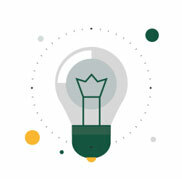 Manos points out that William & Mary is classified as a research university with a high level of research activity, and has been for some time. Torczon noted that graduate students thrive under faculty mentors who are themselves active researchers. Beyond the Carnegie metrics, Manos and Torczon both say that what makes a research university boils down to the relevance it brings to the world beyond its own community. Brushers are paid by online vendors to inflate their reputations with fake product reviews. Xu investigated this form of market rigging in Alibaba’s subsidiary Taobao, the eBay of China. But, he warns, Western online markets are not immune. “The problem could happen on eBay and Amazon, too. They adopt a similar reputation system, so sellers have the same motivations to escalate their reputations,” Xu explained. Sometimes a layperson needs to look beyond everyday life to see the relevance of research. Neutrinos, for example, may not be a household word, yet the 2015 Nobel Prize in Physics (as well as three previous Nobels) were awarded for neutrino discoveries. Physicists believe that if they can crack the neutrino code, the particles can help them reconstruct cosmic events, much as archaeologists use pottery shards to help reconstruct the past. In other instances, relevance is readily apparent. Faculty in the schools of law, education and business produce a stream of practical discoveries. Law Professor Jeffrey Bellin has become a leading expert in “eHearsay.” Texts, tweets and other digital communication can be important evidence in a trial, and Bellin proposes changes to traditional rules of hearsay evidence to include such e-utterances. Bellin’s eHearsay scholarship served as the genesis of a symposium on the subject. At the Mason School of Business, Michael Luchs focuses on the novel concept of “consumer wisdom,” a term that he says usually draws a blank stare. Luchs is interested in people who occupy that sweet spot between tightwad minimalists and shopaholic hoarders. Such “wise consumers,” he says, are part of the key to creating a model of consumption that is both scalable and sustainable. AidData, a “think-and-do tank,” slices and dices data on the trillions of dollars of global foreign aid. Many AidData reports incorporate geospatial elements, giving policymakers fresh, visually enhanced looks on the interplay of aid donors and recipients. The School of Marine Science, which is also the Virginia Institute of Marine Science or VIMS, is responsible for a large segment of William & Mary’s research footprint. Faculty and students at VIMS keep the pulse of the Chesapeake Bay environment and beyond, contributing to knowledge about sea-level rise and other climatological concerns. Campus sits between a Chesapeake estuary and one of the Bay’s tributaries, where eagles nest, so it’s not unusual to see a bald eagle flying overhead. It’s appropriate for eagles to be part of the fauna of a campus that has been so instrumental in research on the national bird. The Center for Conservation Biology (CCB) was founded here in 1992 and its founders, Mitchell Byrd and Bryan Watts, have encouraged and tracked the return of bald eagles to the East Coast. Byrd and Watts check out nesting eagles each year from a small plane. This year, Byrd is making his 40th set of census flights; Watts will observe his 25th. A bald eagle in the neighborhood adds to the quality of life and the CCB has helped to make sure the eagle is part of the discussion in land-use issues. All birds aren’t as welcome as the bald eagle and sometimes birds can be pests, even hazards. Sonic Nets is an excellent example of how a research university can braid its missions of discovery and education together with relevance and service to humanity. The project is designed to save lives and prevent famine, and it involves foundation support, an outside corporate partner and people at every level of the university. Sonic Nets began a few years ago as a collaboration of Mark Hinders, professor of applied science, and John Swaddle, professor of biology. Large flocks of birds can be a plague on ripening crops, a nuisance in parking areas and a danger on airport runways. Sonic Nets is the best bet for a solution to problems caused by birds in the wrong places. It was an idea good enough to be named a Grand Challenges Explorations winner by the Bill and Melinda Gates Foundation. It uses a parametric speaker array to project sounds that mask the birds’ prandial chatter, raising the flock’s insecurity about predators. “It’s like trying to have a conversation at a cocktail party. It doesn’t even have to be especially loud,” Hinders said. The collaboration quickly grew to encompass a number of graduate students. Support from the Andrew W. Mellon Foundation allowed birdsong expert Dana Moseley to join as a postdoctoral fellow, leading the latest rounds of fieldwork and training undergraduates. Waverly McClusky ’16 is using Sonic Nets as a basis for a honors thesis, investigating why some bird species are more sensitive to sounds than others. Early results are encouraging. Swaddle said an airfield test showed Sonic Nets was effective with more than 80 percent of the problem birds, which would reduce bird-aircraft strikes by 95 percent. Hinders and his students have been working closely with Midstream Technology of Williamsburg for the last few years to develop the system. Sonic Nets prototype systems have been installed on three continents across seven different industries. The research culture extends deeper here than at most other research universities. In 2014, a typical year, a quarter of William & Mary’s undergraduate degrees are bestowed upon students majoring in STEM disciplines. Most of these science and math majors graduate with significant and relevant research experience. Consider the chemistry students of Jonathan Sheerer, who was singled out for the degree to which he involves students in his research lab. Scheerer studies alkaloids, a class of chemicals that ranges from cocaine to quinine. He is developing ways to synthesize alkaloids, particularly molecules that show promise for uses such as anti-parasitics or natural insecticides. He was recognized for the integration of undergraduate teaching and research in his quest to synthesize helpful alkaloids by being named a Henry Dreyfus Teacher-Scholar. William & Mary researchers routinely punch above their weight and that goes for undergraduate researchers, too. If iGEM 2015 were a boxing movie, Team Tribe would be Rocky Balboa. iGEM is an annual synthetic biology competition, called the “World Cup of science.” William & Mary’s team won the top prize, knocking out more than 200 teams from all over the world. iGEM, the International Genetically Engineered Machine competition, begins with each team receiving a set of “BioBricks” — individual bits of DNA. The challenge: build the best entry. Competition judge Markus Gershater, founder of the London-based biotech firm Synthace, noted that William & Mary bested a number of entries from five continents, including a large team from Heidelberg, which was trying for a third grand prize in a row. “In the end, the elegant work the William & Mary team carried out, which could be a small but fundamental piece of how future synthetic biology is carried out, won through,” Gershater wrote. Research creates opportunities, and just not in science labs. For example, more than 400 undergraduates have participated in AidData programs since 2003, many at high levels. Another large bit of proof is William & Mary’s spot among public universities at the top of the per-capita list of graduates who go on to get Ph.D. degrees. Likewise, two computer scientists won Best Overall Paper at Supercomputing 2015, the annual conference attended by more than 10,000 computer professionals. Computer scientist Xu Liu and Bo Wu Ph.D. ’14 entered their software tool called ScaAnalyzer, designed to make supercomputers more efficient by pinpointing bottleneck areas in the memory subsystem. Their paper beat out entries from supercomputing centers at technical universities and corporate labs. The whole computing world will benefit from ScaAnalyzer: Liu and Wu are releasing it as an open-source tool. It’s a mistake to think research (and relevance) is all about STEM. Torczon is a researcher — a computer scientist — in addition to being grad studies dean. She has notched an impressive slate of citations for her algorithms. “And it’s not just other computer scientists who are finding my work useful,” she said. Social scientists and humanities scholars also are finding uses for her algorithms. Torczon credits her humanities background — her undergraduate degree is in Latin American history — with giving her the writing skills that make her algorithms so widely useful. Legum Professor of History Scott Nelson drove home the relevance of scholarship at a presentation in Hong Kong. Nelson had spackled up a gap between the social sciences and the humanities with his book Nation of Deadbeats: An Uncommon History of America’s Financial Disasters. “Most economists don’t know enough history, and most historians don’t know enough economics,” he explained. A skeptical group of bankers asked if Nelson had “skin in the game.” He told the group that he read in July of 2007 that the European Central Bank tried to jump-start interbank lending with a €95 billion stimulus. It reminded Nelson of conditions that preceded the Panic of 1873, so he moved his TIAA-CREF retirement investments from stocks to bonds. Bedlam broke out among the Hong Kong financiers. “They were all shouting at each other,” Nelson said. Once the riot subsided, the chairman of the firm explained the excitement: Any bank that had made a similar financial play would have doubled its money. A research university requires a substantial infrastructure. The most recent addition to William & Mary’s research infrastructure is the third phase of the Integrated Science Center. The building furthers the concept of integration begun in the first two phases of the ISC. The ISC 3 is part of the Commonwealth’s investment in William & Mary’s science precinct that goes back a decade. That little room in Small Hall where Marco Colo and other researchers watch for neutrinos is another example of outside investment in research and research infrastructure. William & Mary’s physicists once had to journey to Fermilab, outside Chicago, to take a shift at the helm of the NOvA neutrino experiment. The Small Hall control room, one of maybe half a dozen in the U.S., was made possible by National Science Foundation funding received by Colo’s mentor, physicist Tricia Vahle. It saves on travel expenses and allows for more participation by William & Mary scientists. There are more than a dozen neutrino experiments across the world. Each of these facilities is immense. Neutrino research also is immense in terms of required brainpower. In addition to Vahle, physics faculty Robert McKeown, Michael Kordosky and Jeffrey Nelson — plus postdocs, research scientists, graduate and undergraduate students — are involved in more than half a dozen other neutrino experiments. It does indeed take a research university to take on knotty problems and big questions — but it doesn’t necessarily take a large university. William & Mary’s moderate-by-choice enrollment size does not generate gaudy raw numbers, but the university has plenty going for it. In addition, Manos said that William & Mary benefits from the development of its “special sauce,” an intellectual quality that many larger schools are trying to reverse-engineer. Manos said that William & Mary’s liberal-arts heartbeat allowed it to be one of the few universities that a decade ago grasped the importance of creative, cross-disciplinary approaches to research — as exemplified by the integrated science center concept. “The almost panic-stricken conversation among some of the ‘bigs’ is all about how to get some of this ethics stuff. How do we get people to be creative? How do we get people to understand the value of a team? And how should a team work?” Manos said. 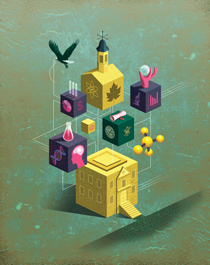 William & Mary’s research footprint is distinctive, if not huge. It is characterized by collaboration, interdisciplinary cooperation and a tendency to spawn projects that involve all levels of the university community and braid research with scholarship. In short, as Manos said, William & Mary-style research is about relevance driven by the beating heart of the liberal arts.